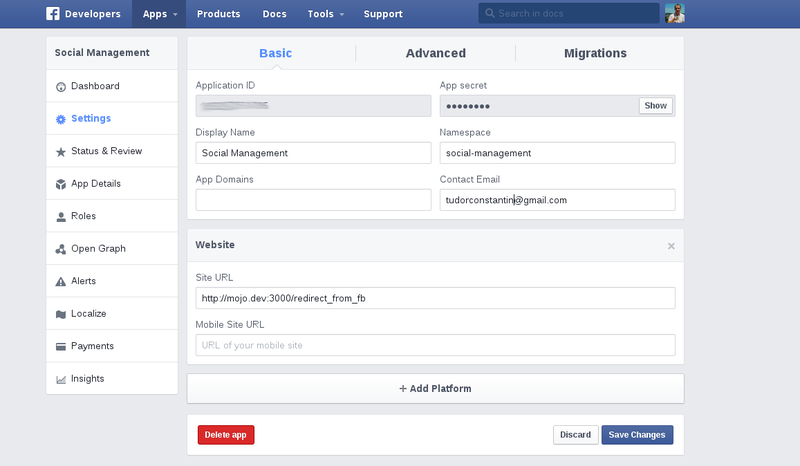 Below is the minimum you need in order to have a web app that provides Facebook authentication. Although there are less than 100 lines of code (including comments), this is a complete Facebook application implemented in +Perl , using the +Mojolicious web framework. It provides Facebook authentication and accesses user's Facebook username. Of course, with proper scope settings it could also access user's list of friends, the pages that the user manages, or many other interesting things that Facebook offers access to. Also, you have to provide a Site URL to your Facebook app. This is the URL where the user will be redirected after Facebook authenticates him. In our app, the URL is http://mojo.dev:3000/redirect_from_fb - of course, mojo.dev is not a valid domain, but an alias I made in /etc/hosts that points to the IP of the machine that runs our Mojo Lite app - Facebook seems to be OK with this URL. 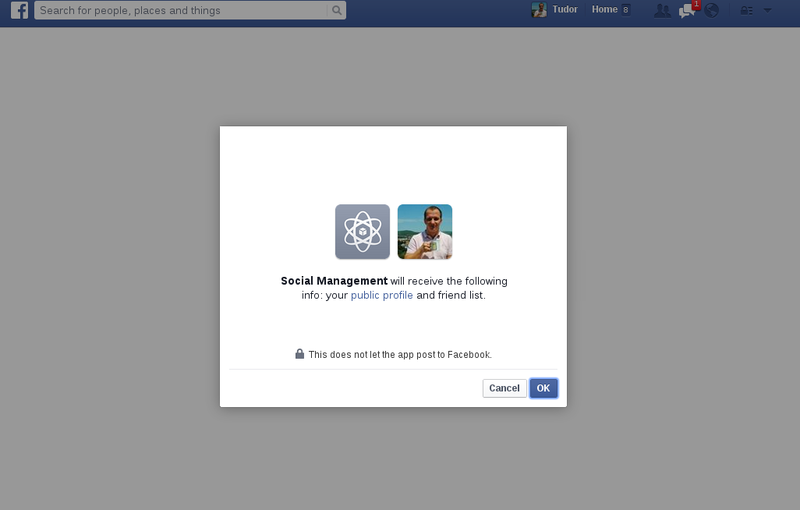 After you authorize the app to access all the scopes set on line 39, Facebook will redirect you back to your app. Note that this authorization phase is done just once - after that, every time you log in with that account, Facebook will simply redirect you to the app.